A souvenir is being handed over as a token of gratitude. Mr. Minhajul Abedin, Team Lead (Data and Infrastructure development team) at Widespace AB delivered a talk on Unit Testing on 22nd March 2015. The session was held at Room no. 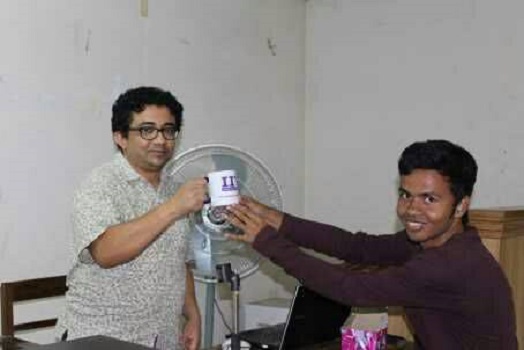 107, IIT, University of Dhaka.